Aws Kinani didn't really know anything about Gdansk before he decided to move there a decade ago. "I had never seen a Polish film, you had no famous football players," the Tunisian-born real estate broker said. But he had just finished his marketing studies, and struggled to find a job. His friends wanted to move to Germany. Then, someone said living was cheaper in Poland. And that is how Kinani ended up in Europe's least ethnically diverse country, where just 0.3 percent of the population holds a foreign passport. Not even the largest refugee crisis since the second world war was able to affect Poland's ethnic make-up. The ruling Law and Justice party (PiS) hasn't formally renounced Poland's duty under an EU-wide agreement to take some seven thousand refugees from Greece and Italy. But not a single refugee has arrived. Not all Poles agree that things should stay this way. 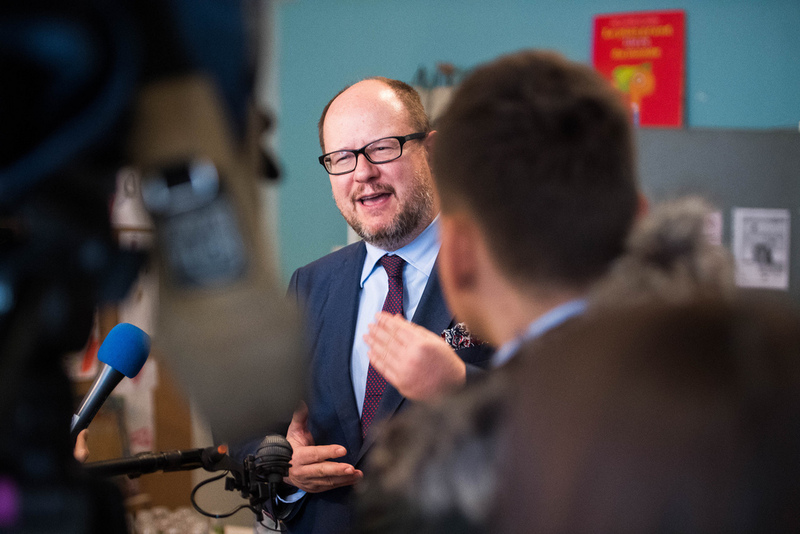 Gdansk mayor Pawel Adamowicz has for years prepared to make the Baltic port city a place where immigrants feel at home. "It's our duty, given our faith, history and location," Adamowicz told EUobserver in a recent interview. Poland's sixth largest city is mostly known as the birthplace of Solidarity, the trade union movement that formed around a shipyard in 1980 and spearheaded anti-communist protests in the former Soviet bloc. Gdansk is also where the first battles of the second world war were waged, displacing millions and profoundly changed the city. Before the war, it was a self-governing free city known as Danzig, where Poles accounted for only 10 percent of the population. Afterwards, under the communists, ethnic Germans were expelled and replaced by Poles from Vilnius, Lviv and other Polish cities that became Lithuanian and Ukrainian as Europe's map was redrawn in the wake of the war. "We are also Catholics, and Jesus was the most famous refugee. And now, for some bloody reason, we refuse to show solidarity," Adamowicz said. The 51-year-old founding member of Poland's centre-right Civic Platform, the largest opposition party, is not one to shy away from conflict with the ruling PiS. He has been shortlisted for the World Mayor Prize, which this year celebrates city leaders who have made a particular effort for refugees and migrants. Gdansk earned the nomination because of its integration model, the first in Poland to take the task seriously. The model is jointly managed by the city hall and the Immigrant Support Centre (ISC), a non-profit set up five years ago by Marta Siciarek, a 37-year-old who trained in cross-cultural psychology. "Foreigners make up a small part of the population, but Poland is a large country so we are still taking about thousands of people. Gdansk has residents born in Ukraine, Chechnya, Tadzhikistan. It would be wrong to say the refugee problem doesn't concern us," Siciarek said during a recent debate. 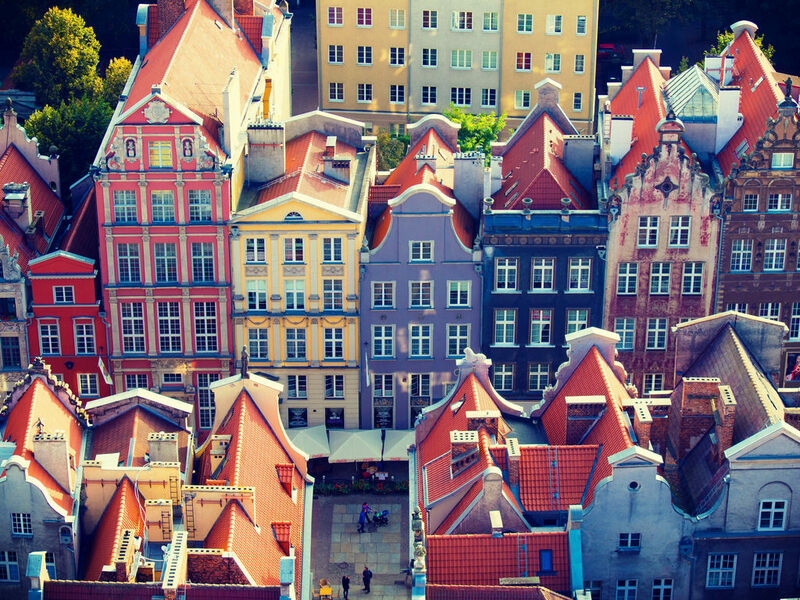 Gdansk has 15,000 immigrants, mostly Ukrainian workers. The integration model is a collective effort, developed by some 150 representatives of local government and private organisations - police officers, border guards, schools, social services, and Caritas - as well as a group of foreigners already living in Gdansk. They were tasked with taking stock of existing integration measures, and found a leaflet teaching foreigners how to make pierogi, the Polish dumplings. "My biggest problem was actually to find a place to live. Not many people want to rent out to foreigners," said Natalia Kovalishyna, a Ukrainian asylum-seeker, who also participated in the debate. Authorities noticed that immigrants are often discriminated by landlords, who either don't want to rent out to foreigners or ask for exorbitant rents. The integration model helps newcomers with legal counselling, job-seeking, and Polish language classes, and teams up immigrants with volunteer mentors who can help them with everyday problems. It also foresees how city structures and local police should act in cases of racism, hate crime and discrimination. This is an increasing problem. "Everything changed in 2014, when the refugee crisis erupted," Aws Kinani said. PiS campaigned on an anti-refugee agenda, with party leader Jaroslaw Kaczynski calling refugees a public health danger who could bring "all sorts of parasites and protozoa". After its landslide victory, the party scrapped the only government body committed to tackling racial discrimination. 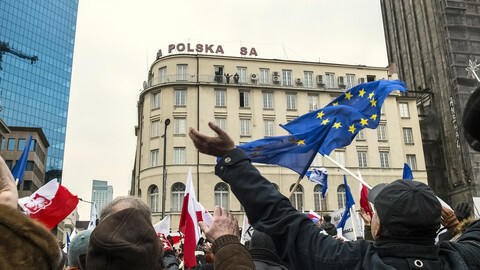 The election also saw members of the far-right National Movement enter parliament on the former rock-singer Pawel Kukiz' ticket. MPs have frequently invoked anti-Islam rhetoric, empowering far-right groups. Pseudo football fans and nationalists regularly hold anti-refugee and anti-Muslim demonstrations in Polish cities, Gdansk included. There has been a rise in attacks on ‘foreign-looking’ people - including a professor of the University of Warsaw who was beaten up in a tram for speaking German. The mayor has also had his share of hatred. Some months ago, PiS-controlled public media aired a news show mixing a speech by Adamowicz, where he called immigrants "a chance for Gdansk", with images of dark-skinned men acting violently. The mayor took the broadcaster to court, denouncing it as hate speech and manipulation to scare the people of Gdansk. He told this website the news programme was part of PiS's effort to unseat him in the next local elections in 2018. "They don't rule any of the larger cities. Local government is the last bastion of the opposition," Adamowicz said. "The migrant model is easy to use against me, especially in the current climate when stereotypes are fuelled by the far-right media. But it's my duty to act when the people of my city are being scared and manipulated." A devout Catholic, he added that he regretted that the Polish Church wasn't more of an ally. "Solidarity wouldn't have been possible without John Paul II [the Polish-born pope], who told us not to fear," Adamowicz said. "We forgot the Pope's message. Today, Poles have been overwhelmed by fear." But in his quest for solidarity with refugees, Adamowicz cannot even count on the support of many figures from his own camp. Donald Tusk, the Gdansk-born president of the European Council, has largely remained quiet on the issue, while Lech Walesa, the Solidarity leader and former president of Poland, told the Guardian last year he "wasn't convinced" by the bid to welcome immigrants. 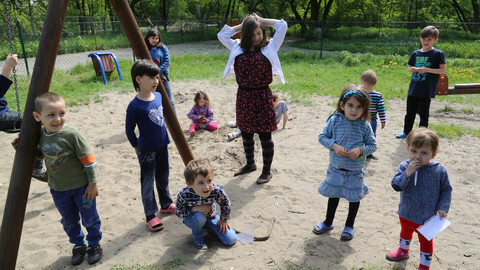 “Poland is poor; it lacks housing and jobs. Many people can’t make ends meet,” Walesa said last year. 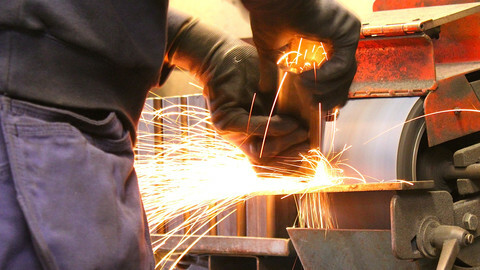 In fact, Gdansk is facing a labour shortage, with an unemployment rate of less than four percent. But one of the main criticisms against Adamowicz is the city's failure to provide the poor with social housing. For the city's progressives, however, the migrant model could be a catalyst to deal with that problem. "We need to debunk this myth that we are too poor to help refugees, but we can only do that if the city fights against social exclusion of all citizens," said Adam Szczepanski, a city councillor sympathising with the left-wing Razem party, as well as a volunteer mentor for immigrants. "Each eviction or failure to help people on the waiting list for social housing does more harm than all far-right demonstrations taken together." Siciarek says the main limit to Gdansk's endeavours to integrate foreigners, is the government's refusal to cooperate. "We are facing many problems which can only be solved at the government level - starting with permission for people to enter the country. But the local foreigners office, which is answering to the government, is also very understaffed. People have to wait for months to receive a working permit. Some have to work illegally because they can't afford to wait any longer," she said. She regretted that more people weren't protesting against the government's failure to relocate refugees. "What does it say about us that we aren't protesting, when people are suffering," she said. Despite this, Kinani said he still loved Gdansk. "It's a great place, with lots of opportunities," he said. However, his Polish wife, fed up with the general mood in the country, thinks they should leave. 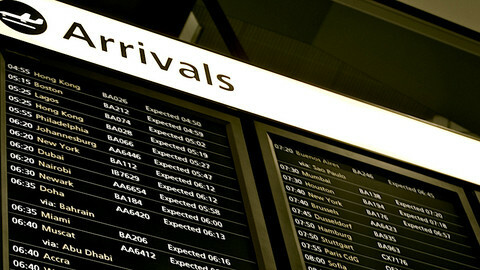 Integration – What is European Business doing? 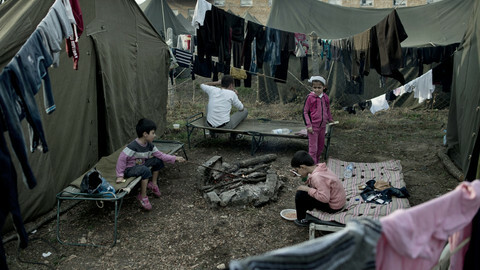 Chechen refugees have been coming to Poland for decades. Tatar Muslims have lived there for centuries. But with the new government trying to whip up fear of foreigners, "things are changing for the worse”. 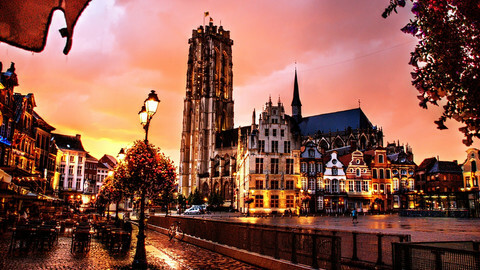 The picturesque, multicultural city north of Brussels believes it has the right policy mix to prevent Islamist extremism. It wants the rest of Belgium to follow its example. Work is an engine for integration of refugees, but EU companies struggle with recognition of qualifications, language, culture and red tape. Europe needs to act urgently to ensure refugees’ basic human rights are being respected; we can’t ignore what is stated in every international and European convention. Developments in Washington only serve to highlight the need for positive action in the face of an overtly nationalistic and anti-rights form of populism. While the regional funds account for a full third of the EU budget, they are somewhat under-reported. 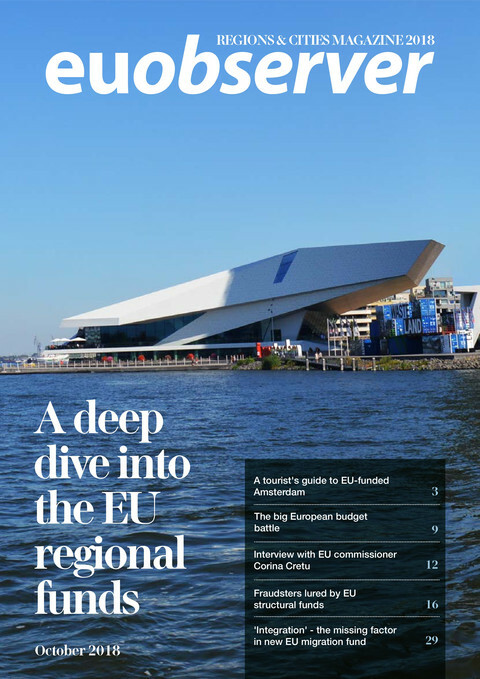 EUobserver's latest edition of the Regions & Cities magazine looks at the EU's cohesion policy. 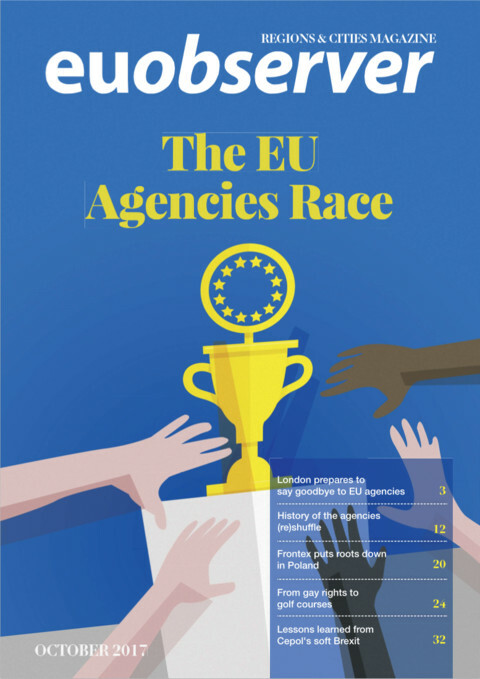 In this edition of EUobserver's Regions & Cities magazine, we take a closer look at some of the EU agencies, exploring how their location matters and the benefits for cities and regions to host them.